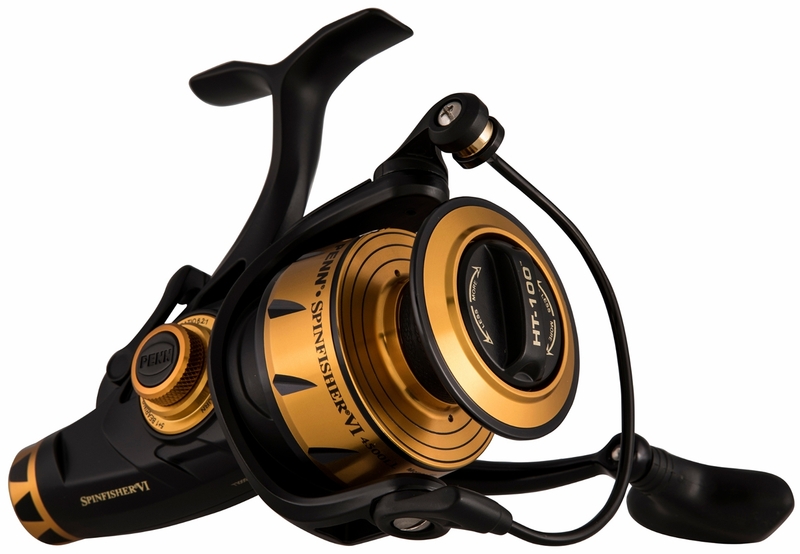 A more advanced addition of the Spinfisher series reels. The Penn Spinfisher V spinning reels are made with Penn's new Water Tight Design which protects the reel thoroughly from saltwater making its way into the gearbox or drag system. The Spinfisher V reels have many improved features, such as the rubber gasket that keeps superline from slipping. Another great feature is the line capacity rings, so you always know how much line is left during a tough angling fight.